Buy Fellowes shredder and get £55 cash back. To claim please upload your proof of purchase at www.fellowesrewardsplus.co.uk/vouchershop. 100% Jam Free Technology, Hassle Free, Mess Free! 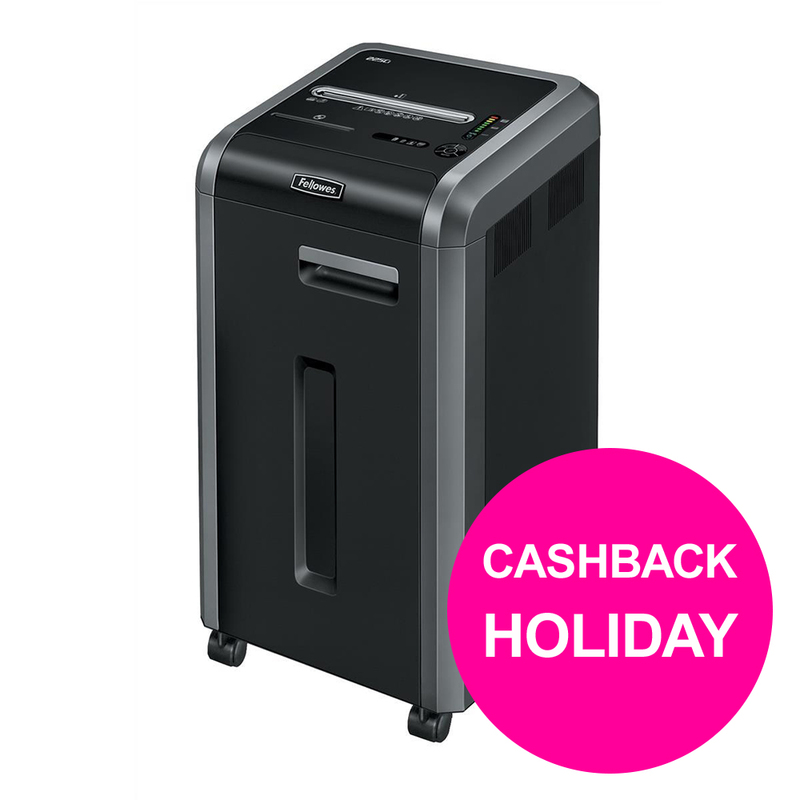 The Fellowes 225Ci Shredder features Jam Free technology with continuous sensing, shredding up to 24 sheets (80gsm) into P-4 (4x38mm) cross cut pieces with 60 litre bin capacity. Equipped with Energy Savings system which reduces in-use energy consumption and powers down after 2 min of inactivity. Silent Shred® Technology minimises noise disruption in shared work spaces. 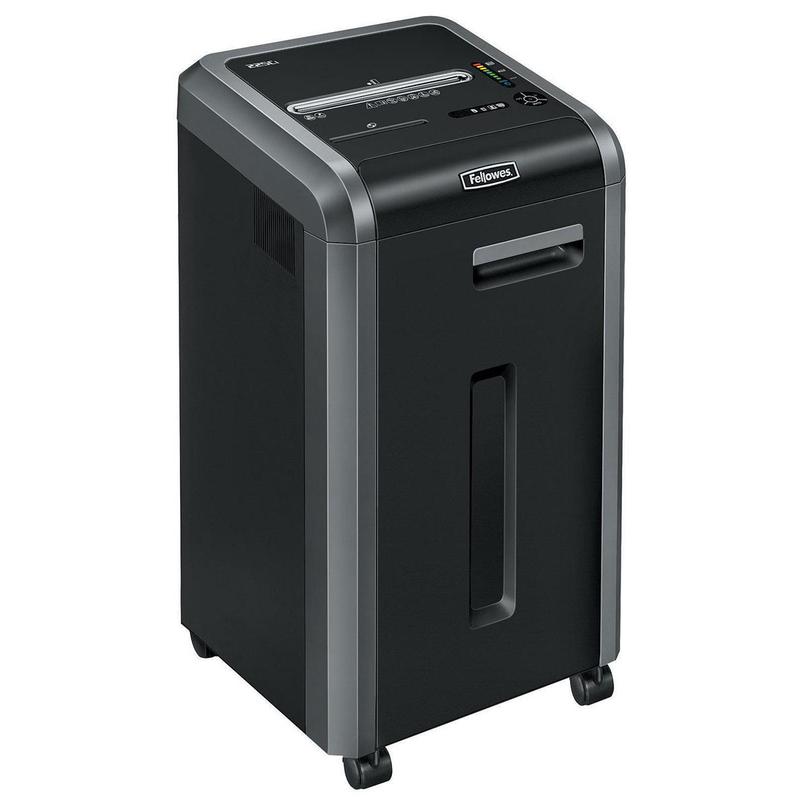 Also features Safe Sense® Technology stops shredding when hands touch the paper entry.